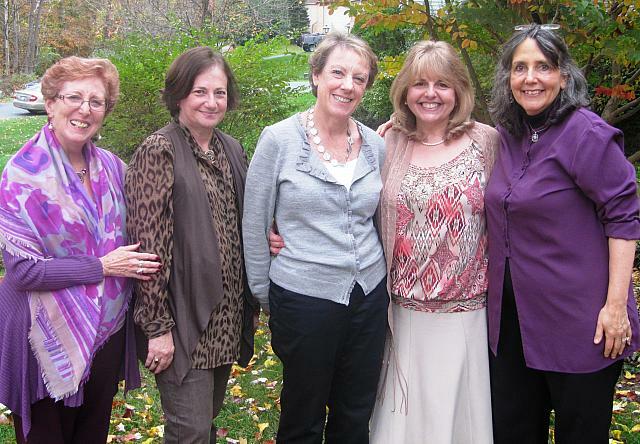 Tikvat Israel’s Women’s Network, also known as Sisterhood, is a vibrant and dynamic organization, serving the synagogue in a myriad of ways. As a chapter of the Women’s League for Conservative Judaism, Women’s Network is dedicated to strengthening and uniting synagogue women’s groups and their members; supporting them in mutual efforts to understand and perpetuate Conservative/Masorti Judaism in the home, synagogue and community; and reinforcing bonds with Israel and with Jews worldwide. Women’s Network provides activities and creative projects year-round to meet member interests and celebrate holidays. The group hosts a special membership event at the beginning and end of each year, as well as a monthly Rosh Chodesh Study Group at the start of each Hebrew month to celebrate women’s special relationship with the lunar cycle. Past Rosh Chodesh programs, led by members or invited guests, have included book discussions, meditation and artistic projects such as making a personal Purim flag or a beaded wire kippah. Sisterhood’s fundraising events, such as selling food at the Purim carnival, support Tikvat Israel’s religious school, preschool and library. Tikvat Israel’s Women’s Network has received numerous awards and recognition from Women’s League. The group received a Magnet Award for a Mitzvah Day blanket and quilt project, as well as a Torah Fund Award for reaching the 2004 fundraising goal. Tikvat Israel’s Women’s Network warmly welcomes new members – both members of the synagogue as well as Jewish women from the greater community. The organization’s board of directors meets bimonthly to discuss and plan future programs. For more information about Sisterhood or membership, contact Janice Balin (balinfive@gmail.com), Women’s Network president.